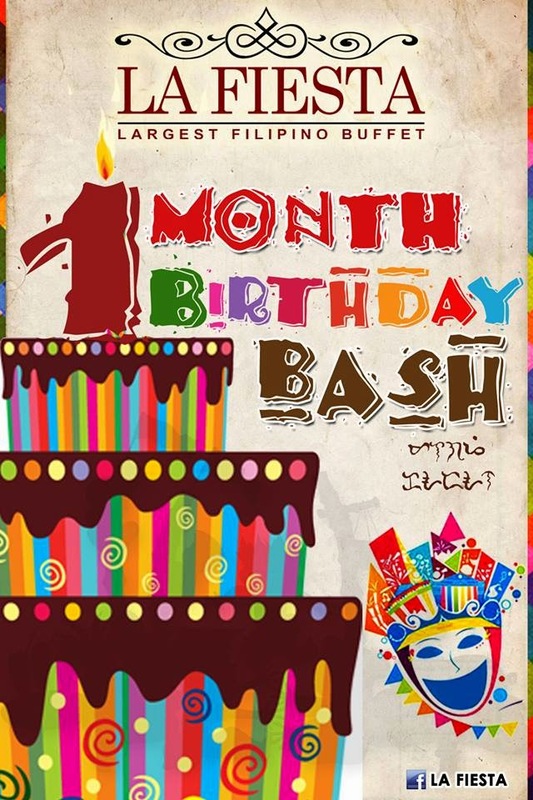 Celebrate your birthday at La Fiesta Largest Filipino Buffet and enjoy a grand celebration for one (1) whole month! 1. Birthday celebrator can avail the La Fiesta Birthday Promo for 1 whole month on his/her birthday month. 2. Birthday celebrator may avail of one (1) FREE buffet at La Fiesta Largest Filipino Buffet. 3. To avail the birthday promo, the celebrator MUST be accompanied by a minimum of 3 full-paying (regular rate, without any discount/s) adults. 4. Celebrator must also complete/fill out the information sheet. -In case that the child celebrator doesn't have a government-issued I.D. with picture, he/she may bring his/her birth certificate supported by his/her parent’s I.D. or his/her own I.D. ( e.g.school I.D). 6. Promo is not valid with any other existing La Fiesta Buffet promos and discounts. La Fiesta Largest Filipino Buffet is located at SM MOA By the Bay Leisure Park at SM MOA Complex. For more info, please call them at (+632) 556-1111 / (+632) 556-1222 / (+632) 556-1333.